One of the great things about Android Smartphones (and probably about the other kind, too) is the usefulness of these devices. They are full blown computers, complete with high resolution screens and input devices and with computation power that sometimes exceeds that of standard desktop and the things you can do with them are virtually limitless. 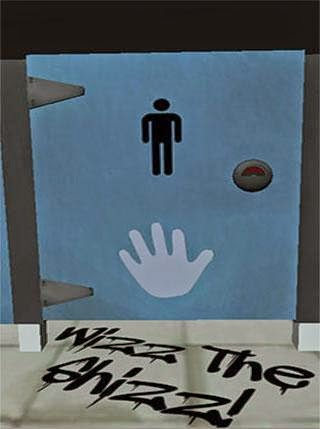 This makes our current time become a gamer's paradise. The sheer amount of games of different types available for download is staggering. There are millions of apps out there on google play with hundreds of thousands if not more games of every type, genre, story, graphics, retro and the list just goes on and on. Of course, looking at it from the other side makes this a virtual (excuse the pun ...) hell because there are so many games and apps but there is really a limit to human ingenuity which manifests itself as endless and boring repetition of the same thing. For instance, there are hundreds of Clash of Clans clones, each virtually the same game with different graphics. This is why it has become so important to be able to find ORIGINALITY on google play, games that are really different both in story, concept, gameplay and graphics. Even though a game must have a good gameplay, story and graphics to be playable, sometimes the thing that matters most is its originality. This is where Wizz The Shizz by 4314Games really shines. 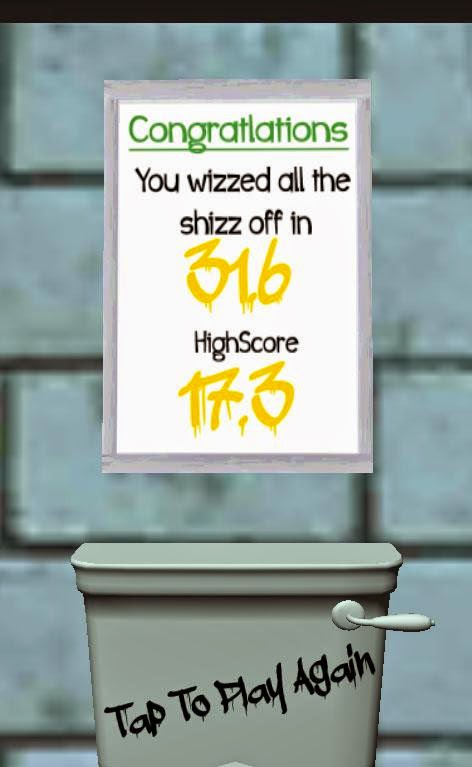 Wizz the Shizz is quite a simple game and is meant to make men feel good about themselves (and their contribution to society) and for women to finally understand how men do things ... The object of the game is quite simple. 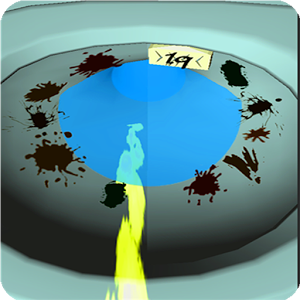 Just wee all the poo stains off the toilet bowl while as fast as possible and keep improving the make your score better and better. 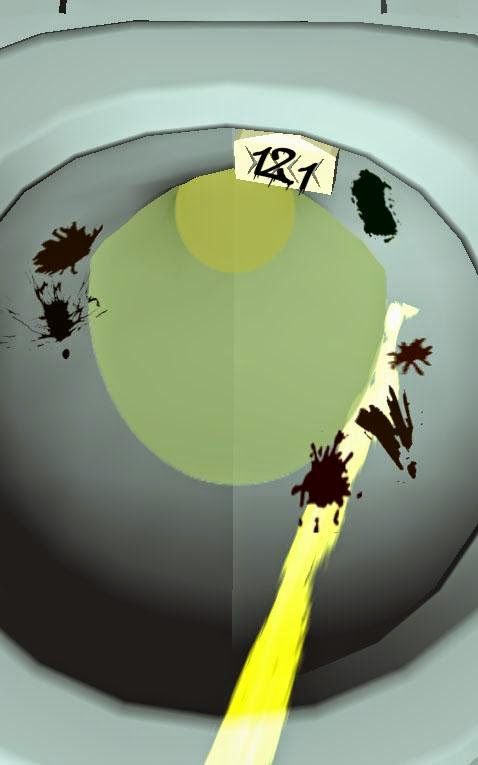 Like we promised, with a VERY original gameplay, a unique concept and witty sense of humor, this game brings a totally new experience to the Android Smartphone player, an experience which no other game or app on Google Play can offer and today, that is a huge achievement.